Digital4nx Group, Ltd. Founder-Managing Director, Robert Kleeger, and New Jersey Office of Homeland Security and Preparedness Director of Cybersecurity, Dave Weinstein, will lead discussion on “The Threat from Within: Identifying Cyber Risks in Advance” at 1:15 P.M., May 5th, MetLife Stadium, East Rutherford, NJ. CFOs and senior finance executives may attend at no cost, and non-CFOs may purchase tickets, by registering at www.CFOstudio.com. 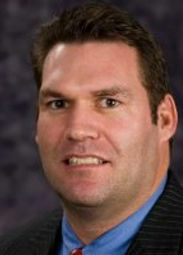 Robert Kleeger, Founder-Managing Director, Digital4nx Group, Ltd. Rob Kleeger is the Founder and Managing Director of Digital4nx Group, Ltd. His firm provides Digital Forensic Investigations, Electronic Discovery Consulting and Advisory Service, Incident Response to Data Breaches and Cyber Security services such as “Ethical Hacking”. Simply put, Digital4nx Group specializes in “Digital Autopsy’s” using proprietary methods and various forensic technology tools to recover and investigate active and deleted information off computer systems and other electronic devices. Mr. Kleeger has over a decade of experience serving the legal services industry and over a quarter century providing consulting solutions and professional services. He has a broad background in various litigation matters and is focused on assisting clients prior to filing a complaint by providing expert technical consulting by providing efficient and cost-effective digital forensic investigations, early case assessment, incident response services relating to data breaches and e-discovery services. Kleeger and his team routinely assists attorneys, business owners, general counsel, chief executive management and boards in handling various types of litigation and legal disputes in both the federal and state courts. Kleeger is a frequent speaker and subject matter expert on digital forensics, cyber security, and electronic discovery. He speaks passionately at various industry conferences and seminars around the Metro area and Nationally and has been featured on WNBC/NBC 4 News Channel. Dave Weinstein is the Director of Cybersecurity for NJOHSP and the Chief Information Security Officer (CISO) for the State of New Jersey. Mr. Weinstein joined NJOHSP in August 2014. Prior to joining NJOHSP, Mr. Weinstein served at the United States Cyber Command in Fort Meade, Maryland, where his portfolio spanned cybersecurity operations, policy, and planning. Following his time with the Defense Department, he joined the private sector where he consulted commercial clients on managing their cyber risk. Mr. Weinstein has been recognized by Forbes magazine as a “top cyber policy expert” and his analysis and commentary have been featured in numerous media and academic publications, including The Christian Science Monitor, the Georgetown Journal of International Affairs, the US Naval Institute’s Proceedings, Foreign Affairs, Foreign Policy, CNN.com, and The Boston Globe. Born and raised in Westfield, New Jersey, Mr. Weinstein holds a Bachelor’s degree from Johns Hopkins University and a Master’s degree from Georgetown University. He is also a Cybersecurity Fellow with New America. Nick’s practice focuses on insurance coverage litigation and counseling exclusively on behalf of policyholders. Nick’s represents clients on catastrophic first-party property damage and business interruption claims. He is the co-author of the book, Business Income Insurance Disputes, a leading treatise on business interruption and time-element insurance issues. In his liability coverage work, Nick represents companies and executives under D&O and E&O policies. Nick has also handled matters under general liability insurance policies for all manner of underlying claims; as well as under employment practices liability policies, inland marine insurance policies, and fidelity and crime policies. Nick’s experience includes all phases of litigation, up to and including trial. He has appeared in state and federal courts throughout the country, including New Jersey, Pennsylvania, New York, California, Connecticut, Louisiana, Massachusetts, Mississippi, Nebraska, North Carolina, Tennessee, Virginia, and Wyoming. Nick has assisted clients in obtaining either full coverage or advantageous settlements, in some instances without litigation. He also has substantial arbitration and mediation experience. Nick writes and lectures on insurance-related topics. His articles have been cited in court decisions including Am. Nat. Prop. & Cas. Co. v. Wyatt, 400 S.W.3d 417 (Mo. Ct. app. 2013); NGM Ins. Co. v. Carolina’s Power Wash & Painting, LLC, 2010 WL 146482 (D.S.C. Jan. 12, 2010); and In re Idleaire Tech. Corp., 2009 WL 413117 (Bankr. 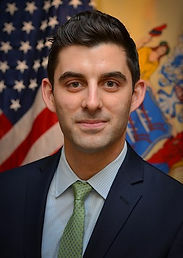 D. Del. Feb. 18, 2009). He has been a guest lecturer on Environmental Insurance Law at Rutgers School of Law – Camden and an Adjunct Professor at Seton Hall University School of Law, where he taught Commercial Law Survey. 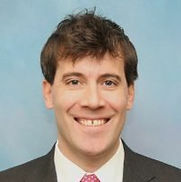 Nick also serves on the firm’s Pro Bono Committee and Associate Training Committee.